I want to introduce Scenery accessories. A fab label born in a studio in Amsterdam, from a love for fashion and interiors. This is the first instalment of several blog posts to come. 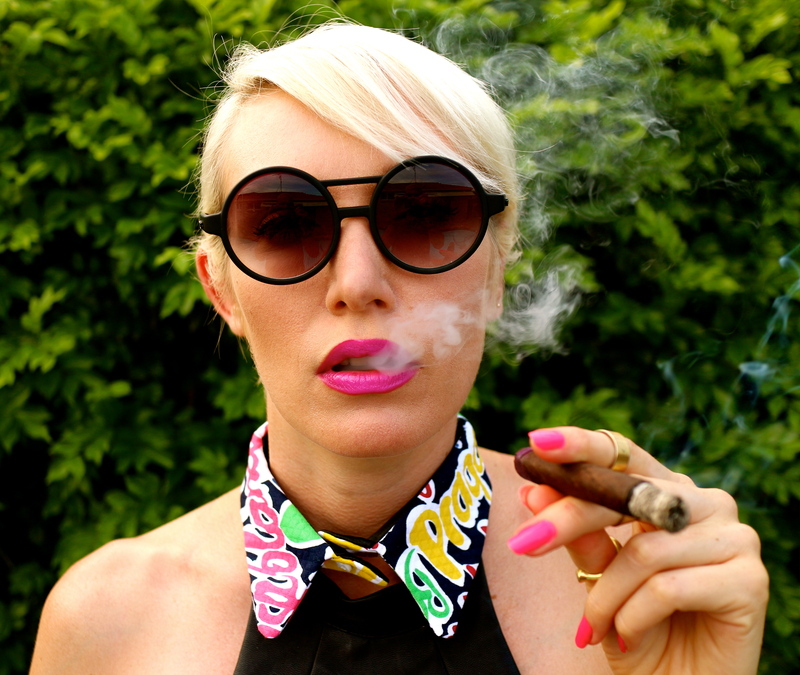 I’m a bit of a fan of this collar and couldn’t resist a sneaky cigar smoking shot. As it’s such a stand out styling piece, wearing it with a basic black top works well for me… Plus I have that damn weakness for anything leather’y. Wearing: Cameo PU halter top ∆ Scenery label collar (obviously) ∆ Quay matte black sunnies ∆ Lime Crime lippy.